When the TRUTH Will Not Set You Free! Final Part – I Was Wrong! I have discovered the Truth and I was wrong, it will set you free. The philosophers, prophets, seers, wizards, warlocks and all the saints throughout history were right. The Truth will set you free. And for only 1 dollar, 1 peso, 1 ruble, 1 euro, or one penny, I will share it with you. You see, I have been giving away ideas here for too long. It is time that I like Jerry Springer, Pat Buchanan, Oral Roberts, Jerry Falwell and Joel Osteen profit from my blog-evangelism. Thus, I say to you now, “send money and I will send you the Truth.” Money will give you the Truth! We all know money is the foundation of everything we stand for. The more money you have the more Truth you will have, right? Actually, wrong. Money will not give you the Truth. So put your centavos away and read on. 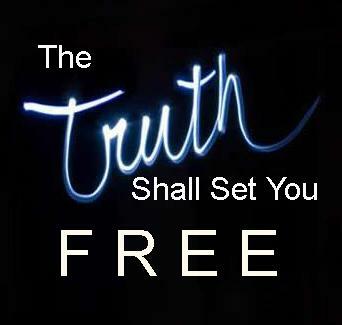 I will share the Truth with you for free. Keep in mind though, that I am simply giving you a map to the Truth. You must find the Truth on your own and you will envy Diogenes and his search. (The Honesty Song by Billy Joel) Click on and listen while you read my blog today. If there was one thing I learned after our jaunt through the ten crimes against humanity it is that the Truth is very elusive. I asked myself all week, why? What makes the Truth so difficult to find? Is it simply subjective and no one can ever have an objective Truth? Is there no such thing as an objective truth? An objective Truth is a Truth that can be verified, tested and accepted by all people. [Subjective Truths are always personal and cannot be verified by others. Subjective Truths are usually considered to be feelings and opinions but opinions can be objective if they involve a premise that can be verified.] After extensive pondering of these questions, I have realized that there is objective Truth, what it is and why it is so hard to find. There is a certain amount of circular reasoning here. Honesty is defined as being honest? That is not very helpful. The second part of the definition is only partially correct. 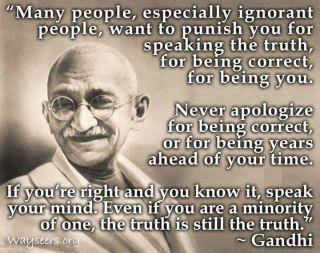 You can be honest and truthful e.g. I don’t like fish. That statement can be both honest and truthful if it reflects the sincere feelings of the speaker about their feelings towards fish. However, such statements about feelings are always subjective and they do not reflect any kind of objective Truth for the world. They simply reflect a personal Truth. However, statements or opinions that go beyond subjectivity become objective. These are statements that can be verified by others. Hence, they can become objective. The condition or quality of being true, correct, or exact; freedom fromerror or defect; precision or exactness; correctness. Chemistry, Physics. The extent to which a given measurement agreeswith the standard value for that measurement. The degree of correctness of a quantity, expression, etc. At this point, you might be wondering why accuracy alone is not enough for an objective Truth. The reason is that you can have accuracy without honesty but you will not have the Truth. For instance, I can say that my home was broken into by someone and I can describe some person with great accuracy. However, I may be lying about the home invasion simply to point the finger towards an innocent victim. If I am lying but accurate, the Truth does not exist. Thus, to have an objective Truth you must have both Honesty and Accuracy. This is one reason why Truth is so hard to find. There are few truly honest people. Humans detect lies with only 54% accuracy. Between 75% and 82% of lies go undetected. Of the lies we tell, 25% are for someone else’s sake. Children begin deceiving as early as age 6 months. Gorillas, fish, birds, even orchids engage in deception. Avoiding eye contact is the most presumed sign of lying around the world—even though it’s false. Law enforcement officials—including FBI agents, customs agents and judges— performed no better than the average person in detecting deception. Training can improve a person’s lie detection ability by 25-50%. 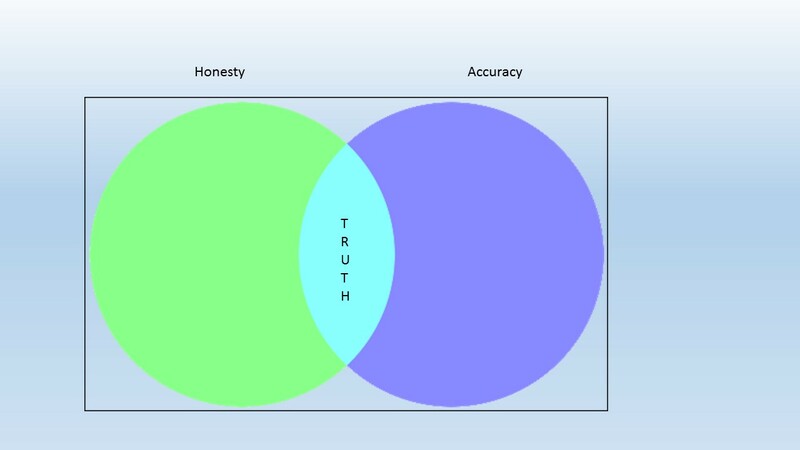 If it is difficult to find an honest person, the second element “Accuracy” is even more difficult to find. The reason for this is that most people treat Accuracy as though it is either on or off, it is either accurate or inaccurate. 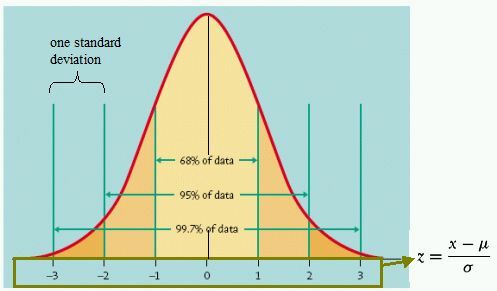 Accuracy should be thought of more in terms of a normal distribution. For every process, there is a norm or standard which we try to attain. The norm of Accuracy is 100 percent. This is a goal but when it involves humans or even the world, it will never exist. “All models are wrong” says George Box. People are unreliable. Eyewitnesses at trials vary widely in their descriptions of both people and events. Even physical objects are subject to constant change. Heraclitus said “you never step in the same river twice.” The world and everything in it goes on evolving. Entropy insures that all processes eventually decay. Quantum physics proves that you cannot measure both the velocity and position of an object at the same time. The best we can do to find Accuracy is to assume a “population distribution” of results for any given parameter and then assume with some degree of probably based on facts and verification that our parameter exists within the distribution. We will not be able to achieve 100 percent accuracy in most of life’s events. When we do, it will not last for any great length of time. We may attain it briefly but it will soon pass. In terms of people describing life, the best we can do is to strive towards a series of successive approximations. We can keep coming closer and closer to the Truth but we will never find an ultimate Truth since it is beyond our abilities to attain. Thus, the Truth that will set you free must combine Honesty and Accuracy and a process of never ending search for more and more accurate results. The Truth is a journey that you can choose to embark on and the ship leaves every minute of every hour of every day. Some people never get on the ship and choose to remain ignorant. Many other Truth Seekers board but soon decide that they are really tired of the journey and get off. The few who can keep their focus and dedication to the quest may someday find the Truth that will set them free at the end of the journey. Have I helped you to find the Truth? What did you learn about Truth in the journey through history that we took? What Truths can you share with others? Please post comments etc. I would love to hear your truths. Previous When the TRUTH Will Not Set You Free! Part 2 of 3 Parts Next Best or Better? Which is better? Thanks Denny, I appreciate your comments. How are things in Japan?